Fallout 4 launched early this week and to the delight of gamers everywhere. In fact, the game was so popular upon launch, it broke the record for peak concurrent players on Steam. Unfortunately, there were a lot of reports of frame-rate loss and bugs which did not go unnoticed by press, but are to be expected with a Bethesda game. Despite this, it quickly became one of the most watched games on Twitch on its launch day, beating out the usual top dogs: League of Legends and Counter-Strike. Even Conan O’Brien joined in on the hype, donning a dweller costume for a Fallout opening skit for his TBS show’s ‘Clueless Gamer’ segment, reports Mashable. 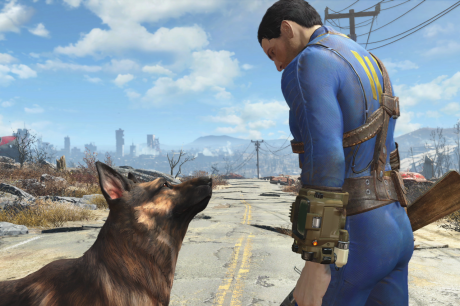 Fallout is just one of the first games to launch in an extremely crowded fall game lineup. This week Blizzard launched the third and final chapter in StarCraft 2: Legacy of the Void while Crystal Dynamics launched Rise of the Tomb Raider, a timed exlusive on XBox One. Next week will see another major launch, when Star Wars: Battlefront hits PC, PS4, and XB1. BlizzCon, the annual Blizzard convention, kicked off this past weekend along with a plethora of exciting announcements from the studio. The biggest headlines around the event included the showing of the first full-length Warcraft movie trailer, new game mode and heroes for Heroes of the Storm, a new trailer for StarCraft 2: Legacy of the Void, a new expansion for WoW and the launch date for their highly anticipated shooter, Overwatch. Polygon covered the convention in Anaheim from start to finish. Facebook has just announced the introduction of VR-Style 360 videos for ads in the Facebook mobile app. The videos can be watched by tapping and dragging across the screen or even through the Samsung Gear VR. According to TechCrunch, the immersive stories will be led by big brands like AT&T, Disney and Corona largely in part due to the high production costs for 360 and VR videos. Earlier last year, Facebook had acquired Oculus VR for $2 billion.